Packaging trends reflect everything from advancing technology to shifting consumer preferences. For example, it is thought ninety-percent of consumers use their phones while shopping, so communication technology has a dramatic effect on the way products are packaged and presented. The public’s commitment to sustainability and ethical practices is another important driving force in the industry, illustrating how social values shape packaging decisions. The following trends represent a few of the emerging and ongoing tendencies influencing modern packaging. Package designs are often born of necessity, following trends in consumer markets. Before fast food, cardboard carriers for cups and condiments didn’t exist. But, drive-through food holders are now a modern staple, having been re-imagined and customized countless times. Packaging for online purchases continues to evolve in much the same way, as retailers and packagers work to balance form and function. The shift from in-store shopping to ordering online has not slowed, so retailers are increasingly reliant on Internet sales. Without in-person visits, packaging experiences may serve as the only physical interactions online shoppers have with a particular brand. As a result, more attention is being paid to engaging consumers with e-commerce packaging. A package is more than a functional container for your product. On the contrary, package size, shape, and structure all come to be associated with your brand. Used to your best advantage, distinctive packaging sets your products apart on retail shelves and reinforces positive consumer perception. Fail to distinguish yourself with proprietary package designs, on the other hand, and risk blending in among similarly presented competitors. According to market research conducted by Mintel, consumers associate high quality packaging with the integrity of the products inside. That means pedestrian packaging draws an uninspired response from shoppers, giving them little reason to engage with your brand. The importance of package structure for selling retail units is another example of the personal connections required to build brand loyalty among modern consumers. Packagers help brand owners take advantage of the trend by incorporating ergonomic design features, unconventional shapes, and functional enhancements into their product packaging. 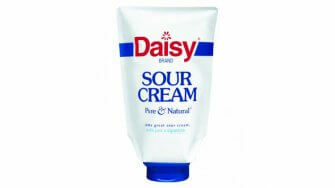 In one noted example, the makers of Daisy sour cream successfully launched a stand up inverted dispensing pouch by keeping brand graphics consistent on the new packaging format. By mirroring their original presence on store shelves, the company was able to quickly associate the new shape with its brand identity. Shoppers’ thirst for product knowledge is unquenchable. According to Mintel, as much as half of the US population may be interested in scanning food packaging to track the source of fresh produce. Fortunately, technology continues giving packagers and producers new ways to share product provenance. Some smart packaging operates behind the scenes, providing logistical assistance and helping monitor freshness during distribution. Other types of interactive smart packaging educate and entertain consumers, furnishing direct connections between shoppers and brands. 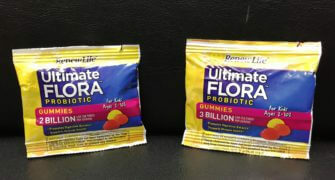 Forward-looking smart packaging alternatives also protect against counterfeiting and can even help monitor medications. The stakes continue rising for packagers and manufacturers. Consumers are more demanding than ever, so the push is on to make personal connections and associate brands with positive experiences. Packaging plays a key role spreading favorable perception and building brand identity. Not only is shoppers’ immediate, in-store experience with packaging important, but the most effective examples also make lasting impressions, prompting repeat purchases. Shoppers face a sea of goods, homogenized to move efficiently through the supply chain. The resulting “sameness” can be an advantage for creative marketers and packagers tuned-in to the expanded role of modern packaging. A package serving as a reusable storage container, a spice jar equipped with a grinding mechanism, and an interactive, smart feature are all examples of effective experiential package designs, leaving buyers with positive brand perceptions. Consumer attention is focused on where products come from and how they are produced. Packagers committed to values like reducing packaging waste and using less energy create a competitive advantage, appealing to like-minded shoppers. Progressive packagers continue finding new ways to reduce the environmental impact of packaging. For instance, using less material provides relief across the entire supply chain, so flexible packaging solutions are replacing cumbersome rigid containers. And, reusable packaging alternatives are becoming more common, streamlining distribution and cutting waste. These durable shipping items are being used to deliver finished goods and improve efficiency at processing and distribution facilities. Aesthetic originality is a major driver distinguishing brands. To make their mark, packagers are turning to both the future and past with nostalgic and modern designs. Retro and vintage-inspired presentations incorporate traditional fonts and colors to instill trust and confidence. While modern packaging interpretations use cutting edge concepts and materials, creating a futuristic appeal. Adding texture to packaging creates a tactile interaction brands are exploring. And, geometric patterns are being printed on packaging to create a unique textural appearance. Themes and humor are also finding favor among marketers, reinforcing consumer comfort and brand familiarity. Minimalistic packaging is a proven seller, offering exclusive classy presentations. Yet at the same time, graphic and text intensive aesthetics also attract attention and spur sales. 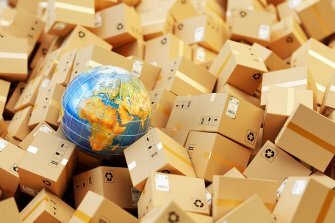 Global packaging trends are influenced by consumer behavior and industry capabilities. In today’s marketplace, transparency, integrity, and authenticity are important brand messages. Effective packaging conveys these ideals. And, as technology creates new opportunities, the best packaging examples incorporate advanced features, facilitating positive experiences and making connections with consumers.